Get hands-on by decorating snow globes, crafting northern lights and much more fun activities at Imaginosity this Christmas! Well, Imaginosity is celebrating Christmas this year for all the festive families and children looking to get creative and have some fun by hosting a wide range of creative arts workshops for all types of mini-crafters, including Christmas Story-time, Northern Lights Craft, Snow Globe Decorations, Build an Igloo, Hanukkah Crafts, and Frosty Snowman Art, in an attempt to reveal everyone’s hidden talents! Hosting all types of workshops to meet everyone crafting needs! Workshops give families that special chance to share some family time together and create some magical memories and magical pieces of art with their loved ones too! Interested in the hidden magic of christmas? Come an join, Christmas stortytime to listen in and hear the true magic of Christmas! Do you want to get your craft on this Christmas? Now you can! with the help of Imaginosity, you can join in the norther lights crafts to have some fun with family and friends! Are you excited for this Christmas? Well, its time to get really really excited as Imaginosity are inviting children of all ages to come in and join in the Snow Globe Decorations Event to be able to add your wonderfully crafted piece of art to your home Fire place this Christmas! Have you always wanted to build an igloo? Well, now you can! 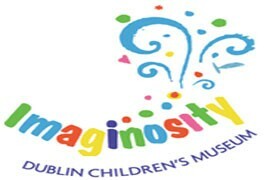 Join Imaginosity this Christmas and visit Build an Igloo event to crush your desires! Sit down, relax and craft! Hanukkah Crafts is a great way for you to connect withfamily through the beauty of arts! Create your very own Frost Snowman at the Frost Snowman Arts Event at Imaginosity to really get into the Christmas spirit!